A summer annual with thick stems that may reach 5 feet in height. One of the few grass weeds in which ligules are absent. 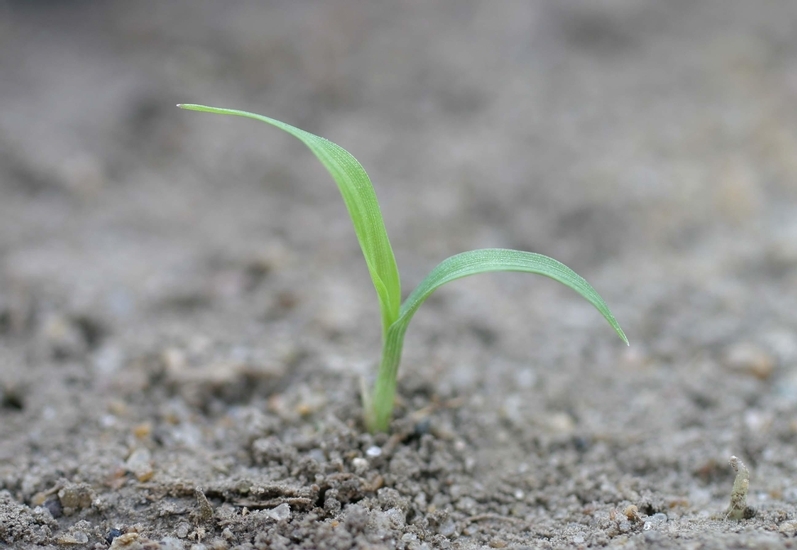 Found throughout the United States, Canada, and Mexico as a weed of many agronomic crops, nurseries, landscape, and turf. 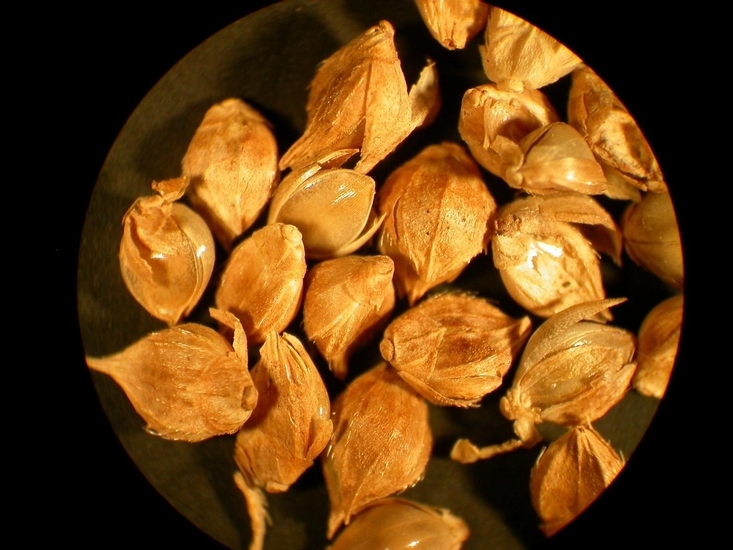 Seeds are without hairs (glabrous), auricles, and ligules, and the leaf sheaths are often tinted red or maroon at the base. Rolled in the shoot, smooth and without ligules or auricles. Leaves range from 4 to 20 inches in length and may be 5-30 mm wide. Leaves have a distinct white midvein that becomes keeled toward the basal potions of the leaf. 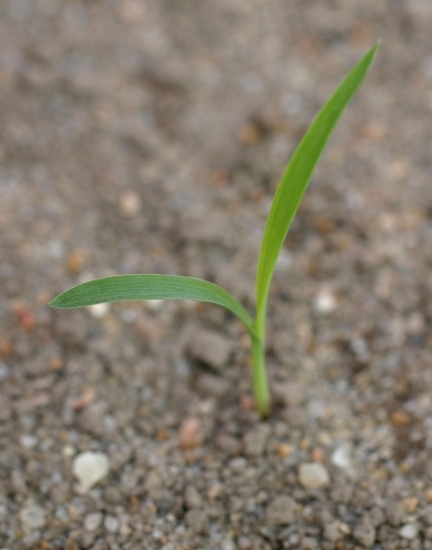 A few short hairs may occur at the leaf bases. Usually erect, thick, without hairs (glabrous), often branched at the lower nodes, and may be tinted red to maroon at the base. Seedhead a terminal panicle ranging from 4 to 16 inches in length. 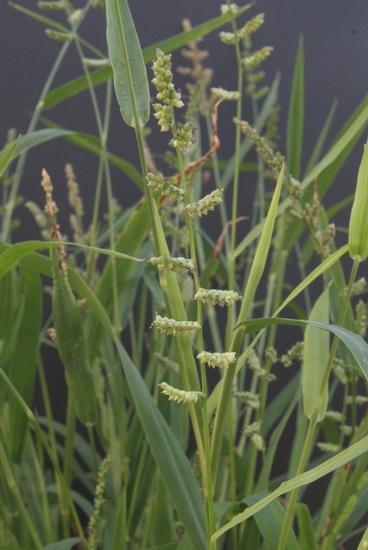 Panicles may be green to purple in color and are comprised of individual spikelets that may develop a 2 to 10 mm long terminal awn (picture on right). 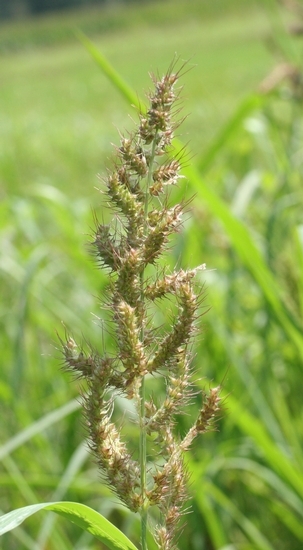 Prior to seedhead formation, Fall Panicum (Panicum dichotomiflorum) and barnyardgrass are often confused due to their similar growth habit and appearance. 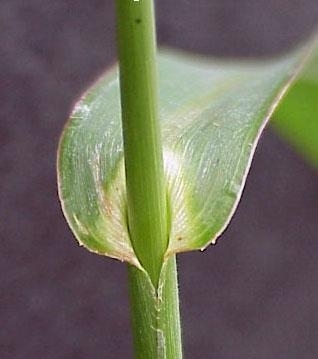 However, the characteristic absent ligule of barnyardgrass helps to distinguish this weed from most other grasses in both the seedling and mature stage of growth.